The organisers of The Gathering are at the critical stage, confirming talks etc. Please look through these FAQ first before emailing with your query. The more questions we stop to answer the longer it will take to confirm the details. We rely on speakers coming back to us for details and are chasing them up right now. As soon as we have more information, it will be posted here. In the meantime, please read through these prior to sending an email. How can I book meal tickets? Can I see a program? What are the men’s events? They are almost confirmed, keep checking back here for details. What are the Friday Workshops? The last three years have been wonderful – no, not just wonderful – FANTASTIC! So many connections, so many friendships, so much learning – come and join us, you will not regret it. You won’t find another bargain like this anywhere else – and you will have so much fun! Lot’s of events for the guys too… more details to follow. Dinner for all? Click here. Are you coming to our Coastal Navigation Course for women later this month? 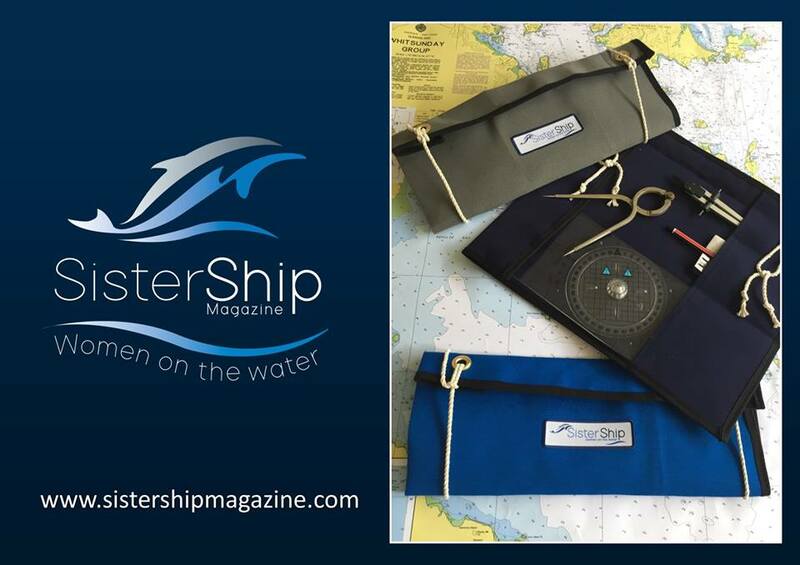 Check out our stylish new SisterShip Navigation Pouches! Available online soon (in our store)! More items coming soon! What do the Co-ordinates Mean? How are the Angles Measured? Zone of Confidence (ZOC) Are your chart depths and seafloor features accurate? There will be plenty of hands-on practice and some fun. Hope to see you there. Pantaenius Yacht Insurance caught up with Jackie Parry, navigation advocate, sitting at a small desk in a building site caravan working frantically on marine navigation, in rural NSW. 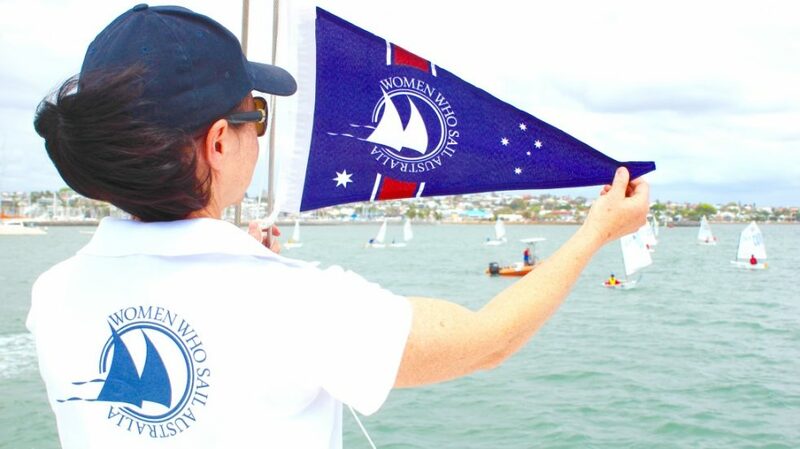 Jackie, with her business partner Shelley Wright (founder of Women Who Sail Australia), via SisterShip Magazine, are about to commence Coastal Navigation courses for anyone interested in safe passage making. The first course starts at the end of October at Lake Macquarie and is for women only. However, plans are afoot for more courses to a wider audience. Why have they undertaken such a huge project? Let’s find out. Click here for full article. Dates: 27th and 28th October, 9.30am – 4pm each day. Venue: Lake Macquarie Yacht Club, Belmont, NSW. Cost: $285 per person (total for two days- introductory offer): Cost includes – morning tea and lunch each day, 2 books (manual and exercises/answers), and chart (also includes a non-refundable deposit of $85 to cover materials). Tools: Purchase a complete set of navigation tools for $105 (Portland plotter, brass dividers, pencil compass, pencils, eraser, sharpener), all in one handy, protective, custom-made, (and smart) pouch! (If you prefer to bring your own tools, please ensure you have soft pencils and soft erasers or your charts will become damaged). Bring along your own calculator. Course content: The degree, latitude and longitude, where on Earth are we?, distance, direction, speed/distance/time, charts, symbols and abbreviations, chart work, plotting, position fixing by bearing and distance, bearings, compass to true, true to compass, variation, deviation, three bearing fix, hand bearings, DR, estimated position, set and drift (dependent on time). Exercises/practices throughout both days. Step by step manual and exercise book to enable work to continue at home easily. Optional dinner: Sat 27th 6pm at LMYC. Pay as you go at the bistro but numbers needed so please indicate if attending. Male partners/friends welcome at the dinner. And we’ll send you an invoice and confirmation of dinner. (Please indicate also, if you will be paying via direct bank transfer (no fee), or via PayPal or credit card – (PayPal and credit card payments incur a 3% administration fee). We will then invoice you the correct amount with details to make your payment). *Full payment required at the time of booking your place – course costs refundable up until 18th October if your circumstances change. Deposit is non-refundable. What to bring: Don’t forget the calculator, but also a few extra $s as there are lots of goodies for sale over the two days – and bring an open mind and lots of questions! Course numbers are limited so it is essential to book (you are not booked until the payment is received). Jackie Parry’s qualifications: Cert Master 5, Cert Master 4, MED3, Commercial Skipper/Professional Mariner, Marine Rescue Skipper, TAFE Maritime Teacher and Instructor of Professional Level Courses for several years. Cert 4 Trainer, Recreational Sailor (ocean sailing, inland waterways, sailboats, and motorboats), Author of Practical Maritime Book/Pilot Books/Articles/Memoirs, Speaker at Nautical Events, Encourager. Teaching experience: TAFE, English in Peru, horse-riding/management, writing. Note: In case of cancellation of a booking prior to course, the attendee has the option of having the materials posted to them (at their cost).